Avallon Lodges - Launceston, Cornwall | Self catering holidays and short break family holidays in Lodges. 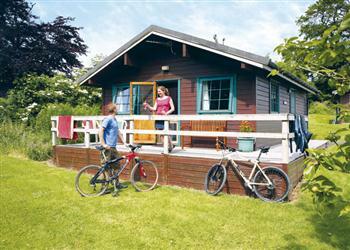 Avallon Lodges in Cornwall sleeps between 2 and 5 people, with the accommodation being lodges. 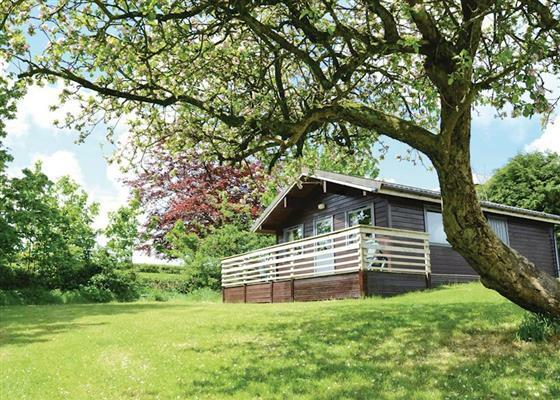 Six secluded lodges stand in an orchard surrounded by idyllic countryside. Ten acres of the land form a valley hosting a magnificent array of flora and fauna. The lodges are situated on a 300 acre dairy farm with a well stocked fishing lake and a pond teeming with life whatever the season. Visitors enjoy use of the private well stocked fishing lake, a real anglers’ paradise (national rod licence required – available from any post office). Swings, games room with table tennis, pool, darts and launderette facilities* all available for all dates. Clay pigeon shooting* June 15–August 30. 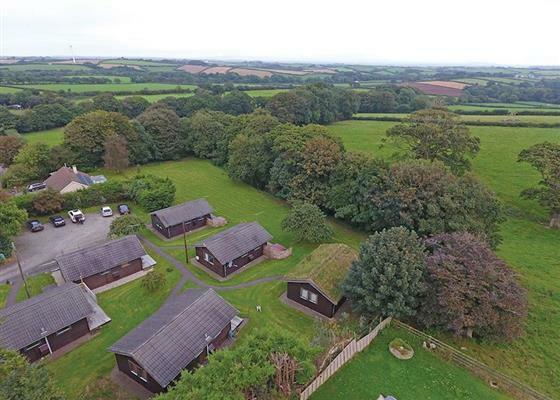 The north coast is just 15 minutes’ drive away and the surrounding area offers surfing at Widemouth Bay and Crackington Haven, horse riding, 5 golf courses, and a host of attractions including NT properties, and the Tamar Otter Sanctuary. The Eden Project is 40 miles away. If you want to find out what other people have said about Avallon Lodges, read the reviews on Avallon Lodges for more information. And, for those last minute bargains, have a look at some of the special offers available at Avallon Lodges. 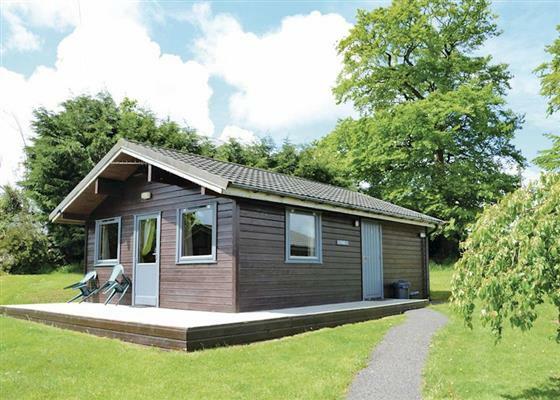 Superb lodge with one double plus one single bed for alternative sleeping. Dishwasher and fridge/freezer. No pets. 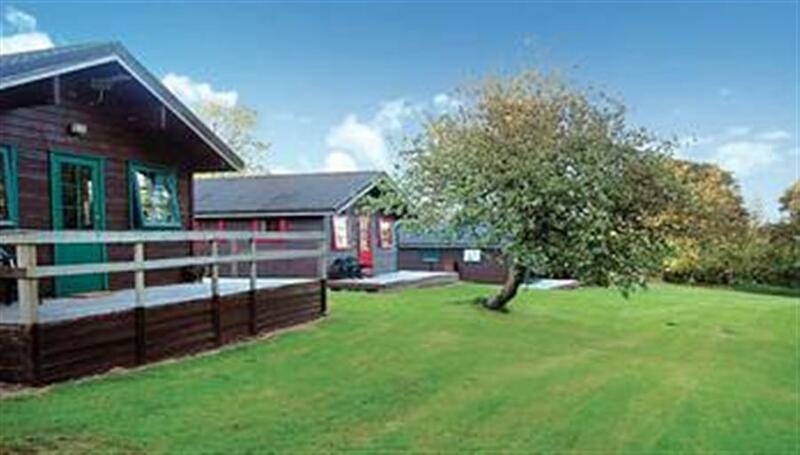 Superb lodge with one double plus one single bed for alternative sleeping. Surround sound DVD. Dishwasher and fridge/freezer. Outdoor hot tub. No pets. Pine lodge with one double and one twin. Suitable for parties including partially disabled visitors  please check when booking. "Pine lodge with one double, one twin plus sofa bed in lounge." Pine lodge with one double and one twin plus additional sleeping for one in the lounge. Outdoor hot tub. Find out about Avallon Lodges, including prices and availability. There are 44 holiday parks within 10 miles of Avallon Lodges. The Barn by The Lake in Brompton Regis, Somerset, and sleeps 5 people. 49 miles. Clarence Grey House in Torquay, Devon, and sleeps 8 people. 43 miles. Monks Cottage in Braunton, Devon, and sleeps 4 people. 30 miles. Warleigh Lodge in Plymouth, Devon. 21 miles. Broad Downs Farmhouse in Salcombe, Devon. 42 miles. Georges Cottage in Clovelly, Devon. 20 miles. Bay Cottage in Newquay, Cornwall. 35 miles. Woodlands in Gunnislake, Cornwall. 15 miles. Bannisters in St. Agnes, Cornwall, and sleeps 4 people. 43 miles. The Cabin in Port Isaac, Cornwall, and sleeps 2 people. 19 miles. Trewennick House in Ashwater, Devon, and sleeps 9 people. 6 miles. Chy-An-Eglos in Wadebridge, Cornwall, and sleeps 2 people. 19 miles. Lake House in Torrington, Devon. 24 miles. Pear Tree Cottage in Bishops Nympton, Devon. 35 miles. Chilsworthy Farm Cottage in Callington, Cornwall, and sleeps 3 people. 14 miles. Threshing Farm in Barnstaple, Devon. 38 miles. Fishermans Cottage in Mevagissey, Cornwall, and sleeps 4 people. 33 miles. Lilac Cottage in Bude, Cornwall, and sleeps 8 people. 10 miles. The Retreat in Harbertonford, Devon, and sleeps 6 people. 38 miles. Trethiggey Farmhouse in Newquay, Cornwall. 34 miles. The Bolt Hole in Tavistock, Devon. 20 miles. Newcourt Barn in Exeter, Devon, and sleeps 5 people. 42 miles. Bee Bowl Cottage in Bideford, Devon, and sleeps 5 people. 23 miles. Dilly Dally Barn in Holsworthy, Devon, and sleeps 5 people. 11 miles. Culbone Parsonage in Porlock, Somerset, and sleeps 6 people. 49 miles. Molly's Cottage in Torquay, Devon, and sleeps 6 people. 42 miles. 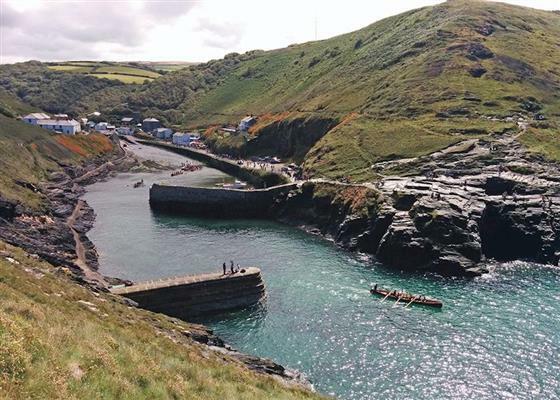 Haven Cottage in Port Isaac, Cornwall, and sleeps 4 people. 19 miles. Ridgefield House in Longdown, Devon, and sleeps 8 people. 36 miles. The Mowhay in Redruth, Cornwall, and sleeps 4 people. 48 miles. Higher Thorne Cottage in Bodmin, Cornwall, and sleeps 8 people. 16 miles. Rock Cottage in Barnstaple, Devon, and sleeps 8 people. 37 miles. Sandy Bottom Cottage in Brixham, Devon, and sleeps 6 people. 45 miles. Little Acre in Porthtowan, Cornwall, and sleeps 6 people. 45 miles. Bridge Cottage in Paignton, Devon, and sleeps 5 people. 41 miles. Driftwood Cottage in Falmouth, Cornwall, and sleeps 5 people. 49 miles. Filleigh End in Chudleigh, Devon, and sleeps 6 people. 37 miles. Christmas Cottage in Chulmleigh, Devon, and sleeps 6 people. 24 miles. Boxtree Barn in East Allington, Devon, and sleeps 4 people. 41 miles. The Blacksmiths Shop in Bodmin, Cornwall, and sleeps 2 people. 24 miles. Lynches in Bideford, Devon, and sleeps 8 people. 19 miles. Swinnerton in Bantham, Devon, and sleeps 8 people. 38 miles. Old Traine Barn in Modbury, Devon, and sleeps 10 people. 34 miles. Hollywell Barn in Liskeard, Cornwall, and sleeps 6 people. 18 miles. Corner Cottage in Chagford, Devon, and sleeps 6 people. 27 miles. Monkey Puzzle Cottage in Bude, Devon, and sleeps 9 people. 10 miles. Lower Manor Farm in Ringmore, Devon, and sleeps 12 people. 36 miles. The Old Bakehouse in Dittisham, Devon, and sleeps 8 people. 43 miles. Lyndhurst in Highampton, Devon, and sleeps 12 people. 37 miles. Higher Hill Barn in Kingsbridge, Devon, and sleeps 10 people. 42 miles. Phoenix Cottage in Appledore, Devon, and sleeps 6 people. 27 miles. Steamer Quay Cottage in Paignton, Devon, and sleeps 10 people. 43 miles. Coombe Park in Chillington, Devon, and sleeps 10 people. 43 miles. Lodge House in Salcombe, Devon, and sleeps 8 people. 40 miles. Pusehill Barn in Bideford, Devon, and sleeps 10 people. 24 miles. Spinnaker Cottage in Salcombe, Devon. 43 miles. The Linney in Tamar Valley, Cornwall, and sleeps 2 people. 15 miles. Bridge Park Cottage in Kingsbridge, Devon, and sleeps 10 people. 41 miles. Higher Westcott Farm in Moretonhampstead, Devon, and sleeps 12 people. 31 miles. Spindrift in Bideford, Devon, and sleeps 6 people. 27 miles. The Stumbles in Salcombe, Devon, and sleeps 11 people. 43 miles. Ananda in Salcombe, Devon, and sleeps 8 people. 43 miles. Little Barn in Kingsbridge, Devon. 34 miles. Treworgie Barton in Bude, Cornwall, and sleeps between people. 7 miles. Dunley Farmhouse in Newton Abbot, Devon, and sleeps 11 people. 35 miles. Wheel Farm Cottages in Combe Martin, Devon. 38 miles. Shore Break in Braunton, Devon, and sleeps 5 people. 31 miles. Rill House in Slapton, Devon, and sleeps 8 people. 44 miles. Bottor Rock Lodge in Bovey Tracey, Devon, and sleeps 10 people. 34 miles. Overcombe in Salcombe, Devon, and sleeps 14 people. 43 miles. Gooseham Barton Farm Cottages in Morwenstow, Cornwall. 16 miles. Forda Hill Farm in Barnstaple, Devon, and sleeps 12 people. 31 miles. Collacott Farm Cottages in South Molton, Devon. 31 miles. Heathersett in Instow, Devon, and sleeps 6 people. 27 miles. Drake House in Hope Cove, Devon, and sleeps 10 people. 40 miles. Middle Rock in Brixham, Devon, and sleeps 8 people. 45 miles. Cobesta House in Falmouth, Cornwall, and sleeps 12 people. 47 miles. Mer-boes in Portwrinkle, Cornwall, and sleeps 6 people. 24 miles. Spindrift in Thurlestone, Devon. 39 miles. Middle Silver in Dartmouth, Devon, and sleeps 4 people. 44 miles. Thorn Cottage in Chagford, Devon, and sleeps 6 people. 25 miles. Southgate in Barnstaple, Devon, and sleeps 14 people. 31 miles. South Riding in Thurlestone, Devon. 39 miles. Higher Brownstone Farmhouse in Kingswear, Devon, and sleeps 12 people. 46 miles. Sunnyside in East Prawle, Devon, and sleeps 10 people. 46 miles. Higher Venice in Allaleigh, Devon, and sleeps 12 people. 40 miles. Batson House in Salcombe, Devon. 42 miles. Glebe House Cottages in Holsworthy, Devon, and sleeps 35 people. 7 miles. Manor Farm in Torquay, Devon, and sleeps 10 people. 41 miles. Mariners House in Bideford, Devon, and sleeps 10 people. 24 miles. The Old House in Exeter, Devon, and sleeps 14 people. 37 miles. Pamflete House in Flete Estate, Devon, and sleeps 18 people. 34 miles. Shingle House in Torcross, Devon, and sleeps 8 people. 45 miles. Cullaford Cottage in Combe, Devon, and sleeps 4 people. 30 miles. Four Seasons Barn in Torrington, Devon, and sleeps 13 people. 17 miles. Buckland Barn in Great Torrington, Devon, and sleeps 12 people. 18 miles. The Linhay at East Dunster Deer Farm in Tiverton, Devon, and sleeps 12 people. 40 miles. Heatherdale in Salcombe, Devon, and sleeps 10 people. 43 miles. Bridleway House in Salcombe, Devon, and sleeps 10 people. 43 miles. Sherrill Farmhouse at Sherrill Farm Holiday Cottages in Tavistock, Devon, and sleeps 22 people. 10 miles. Horsecombe Dairy in Horsecombe, Salcombe, and sleeps 16 people. 42 miles. Pond House in Bigbury-on-Sea, Devon, and sleeps 10 people. 37 miles. Belle Rives in Newquay, Cornwall, and sleeps 10 people. 35 miles. Barwick in Okehampton, Devon, and sleeps 12 people. 21 miles. Wild Goose Barn & The Creamery in Kingston, Devon, and sleeps 12 people. 35 miles. Lowena in Tregonetha, Cornwall, and sleeps 6 people. 27 miles. Kennacott House at Kennacott Court Cottages in Widemouth, Cornwall, and sleeps 11 people. 8 miles. Fiddlers Green in St Mawes, Cornwall, and sleeps 12 people. 46 miles. Blue Seas in Mawgan Porth, Cornwall, and sleeps 11 people. 31 miles. Lanxton Barn in Coad's Green, Cornwall, and sleeps 10 people. 9 miles. Helsett Farmhouse in Boscastle, Cornwall, and sleeps 10 people. 12 miles. Lower Easton Farmhouse in Salcombe, Devon, and sleeps 10 people. 41 miles. Place House in Bideford, Devon, and sleeps 6 people. 24 miles. The School House in Coryton, Devon, and sleeps 6 people. 12 miles. The Cider Press in Stoke Gabriel, Devon, and sleeps 8 people. 40 miles. Fistral Lookout in Newquay, Cornwall, and sleeps 4 people. 36 miles. Bolberry Court in Hope Cove, Devon, and sleeps 5 people. 41 miles. Cox Hill House in Chacewater, Cornwall, and sleeps 10 people. 45 miles. Willey Barn in Okehampton, Devon, and sleeps 6 people. 22 miles. Huxham View in Exeter, Devon, and sleeps 16 people. 41 miles. The School House in Countisbury, Devon, and sleeps 13 people. 47 miles. The Grange at Grange Estate in Simonsbath, Somerset, and sleeps 16 people. 41 miles.